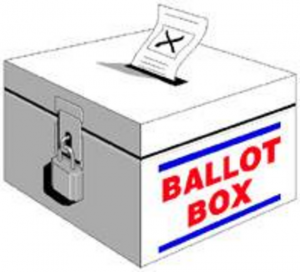 Elections for membership of the Board are held every 3 years, so if you’re not happy with our performance you have the opportunity to do something about it; either by exercising your vote as a drainage ratepayer or standing for election yourself. Are there any other opportunities to be elected? Occasionally a casual vacancy may arise when an elected member resigns or otherwise vacates their office midterm. When this happens the Board will elect a member to fill the vacancy, in accordance with its Election of Members Policy. The next election of members will take place in 2018. If we receive more than 10 valid nominations, a poll for the election will take place between 24 October 2021 and 1 November 2021. The exact date of the election, should a poll be required, will be published between 7 and 15 September 2021 on our Public Notices webpage. How many places are there and where are they? The Board consists of 10 directly elected members, the number of which is set out in the constitution. There is only 1 electoral division which is the same as the Board’s area. Who are my existing representatives? Please visit our Board Members webpage to identify your existing directly elected representatives for the area. The last election was not contested. How do I stand for election or nominate someone? To stand for election you will either be a Drainage Ratepayer, or you will be nominated by a landowner who pays Drainage Rates to the Board. If you would like to nominate someone, you will need to be a Drainage Ratepayer. Full details regarding qualification for membership and nominating candidates are included with the nomination paper, which can be downloaded from this webpage or otherwise obtained from the central office. Please note that your nomination paper must be validly completed and returned to us by the published deadline. This date will be published on our Public Notices webpage. Who gets to vote, should a poll be required? If the number of candidates exceeds the number of places available (10) a poll will be held. You will be entitled to vote if you’re liable to pay Drainage Rates to the Board, providing you’ve actually paid your Drainage Rates as demanded and your entitlement is shown in the Register of Electors. This public register will be available for inspection at the central office in an election year from April onwards. Notice of this will be given on our Public Notices webpage and you will also have the opportunity to request that any errors or omissions in the Register are corrected before the Election. You will be sent a Voting Paper at least 7 days before the poll, which you’ll need to complete and return to the central office before the poll takes place. When do we know who’s been elected? If a poll is required, the count will take place here at the central office on the election date and will be observed by an independent solicitor. Candidates and members of the public are also welcome to observe the count, subject to the usual security checks. The results will then be published on our Public Notices webpage. Where the election of members is not contested a ‘no poll declaration’ will be published on our Public Notices webpage, shortly after the deadline for receiving nomination papers. The declaration will list the elected members who’ve been returned unopposed. Please note that the Board will no longer publish election notices in the local press, following receipt of the Ministerial Direction on publishing election notices on 27 April 2016. What happens if there are no nominations? If we do not receive at least 10 valid nominations, the shortfall will be made up by reappointing a number of the retiring members. If one or more of the retiring members are unable to be reappointed for any reason whatsoever the Board will fill the vacancies at the earliest opportunity, in accordance with its Election of Members Policy. If you would like more information about the election process please contact the Returning Officer at the central office or send us an email to returningofficer@wlma.org.uk.